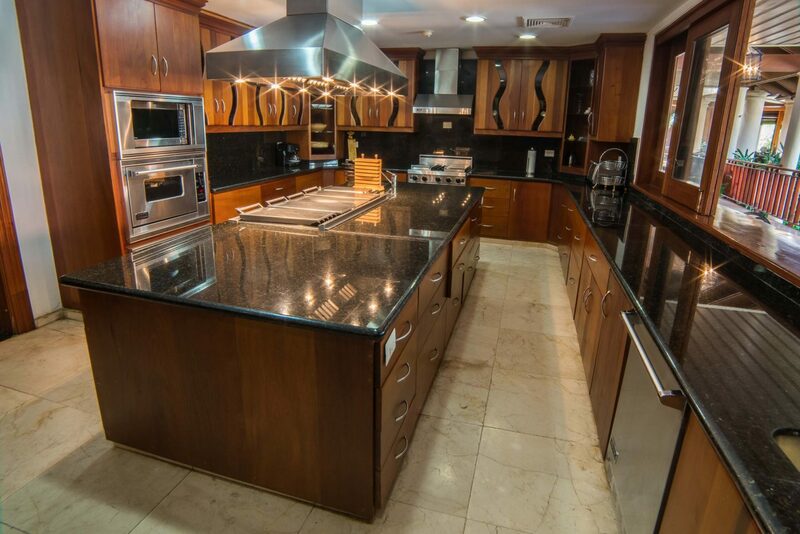 RECENTLY REDUCED with MOTIVATED SELLERS. 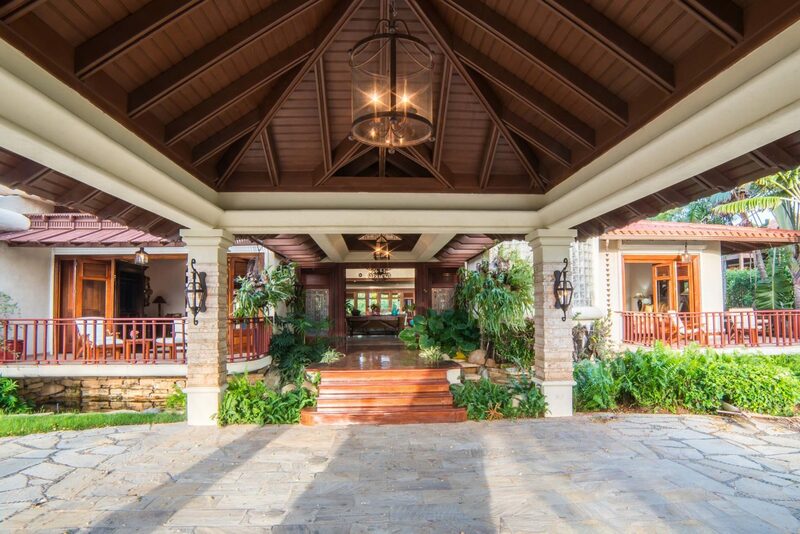 A Magnificent Mansion built with love and care. 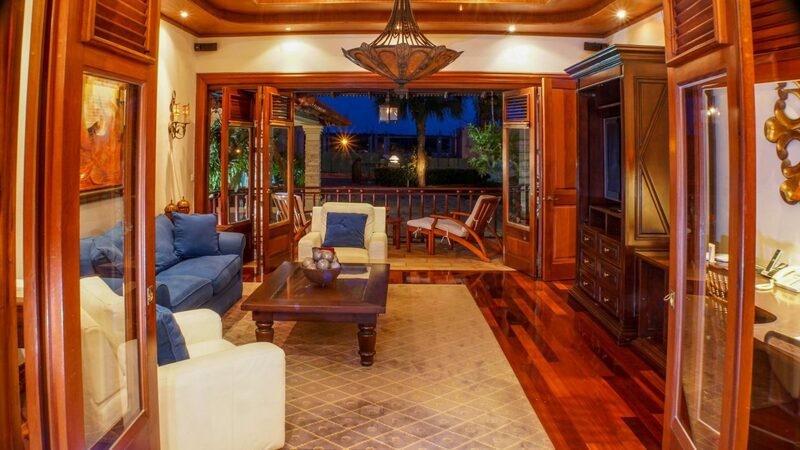 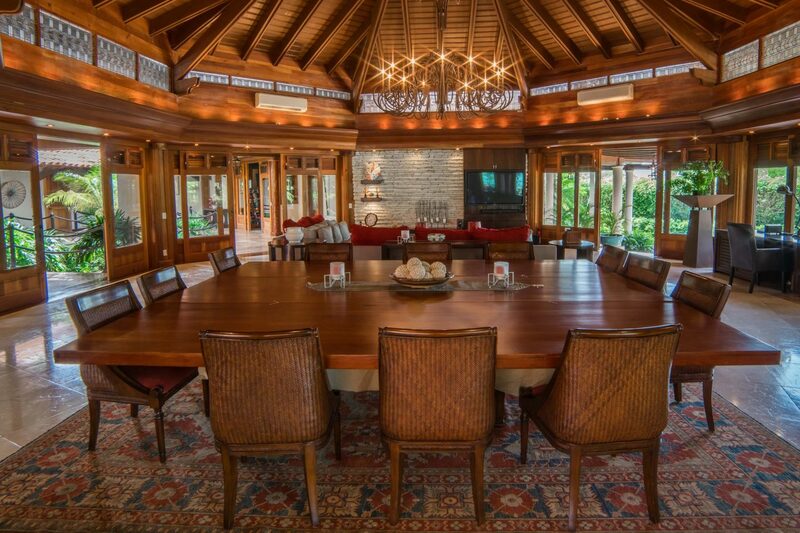 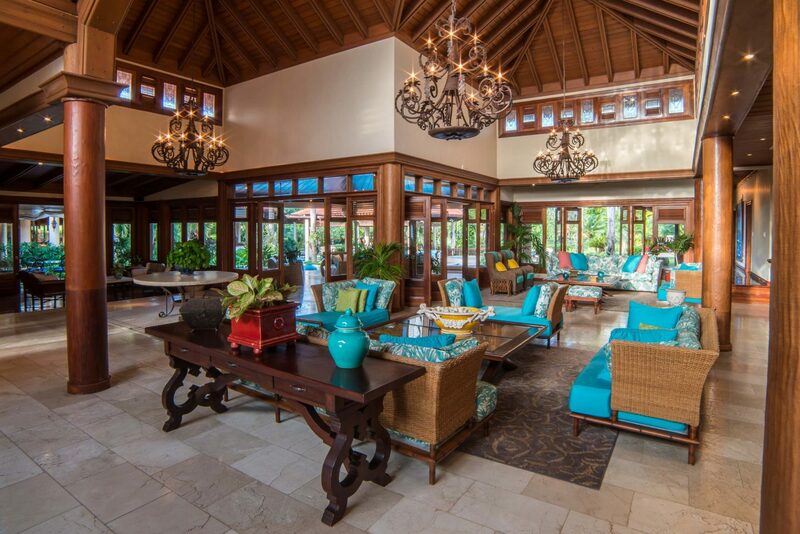 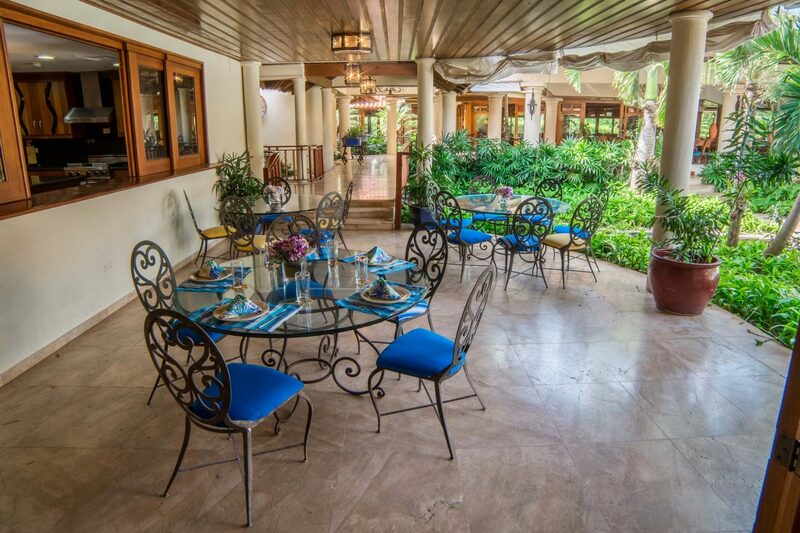 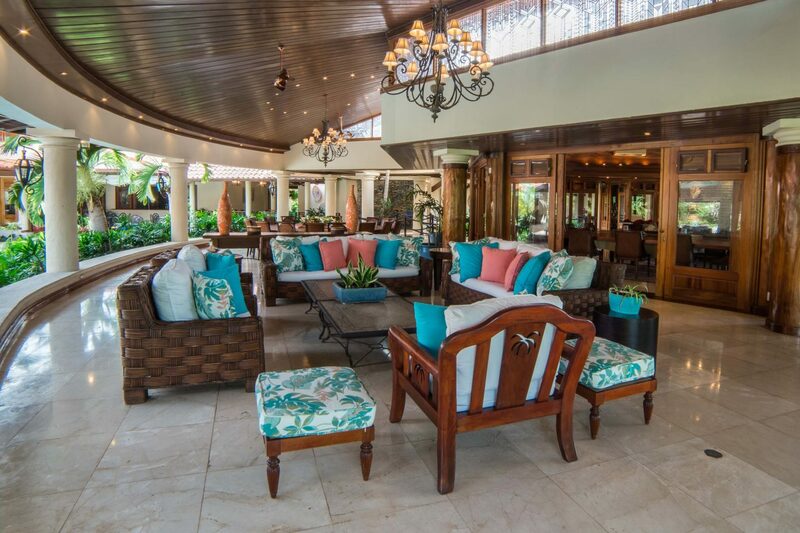 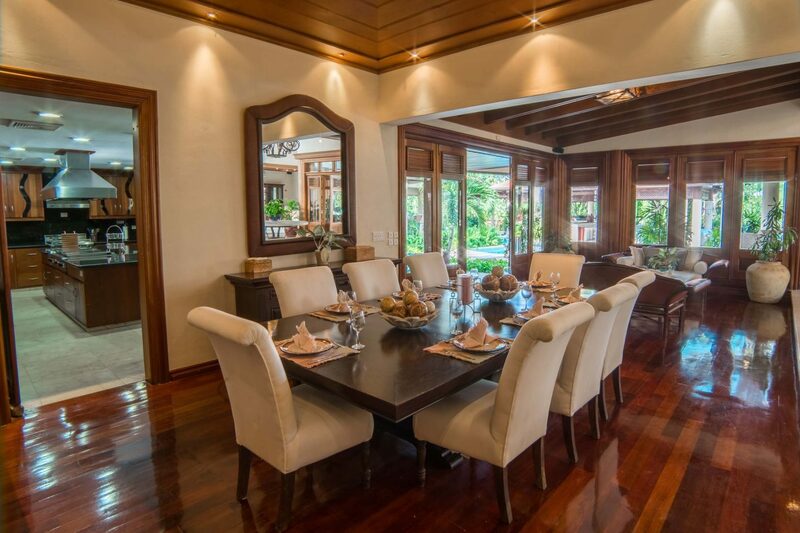 Rich history lives within the palatial estate … the Rockefeller family even dined in the villa’s main dining room table, which was imported from North America direct to Las Palmas 18. 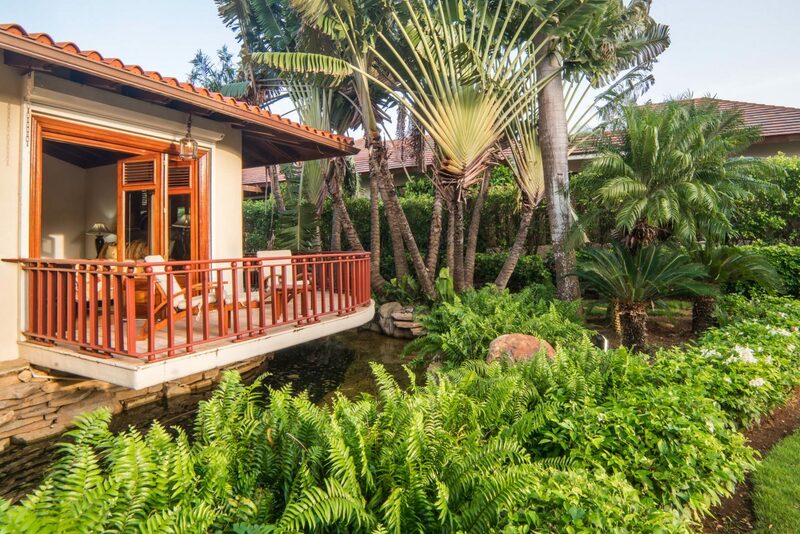 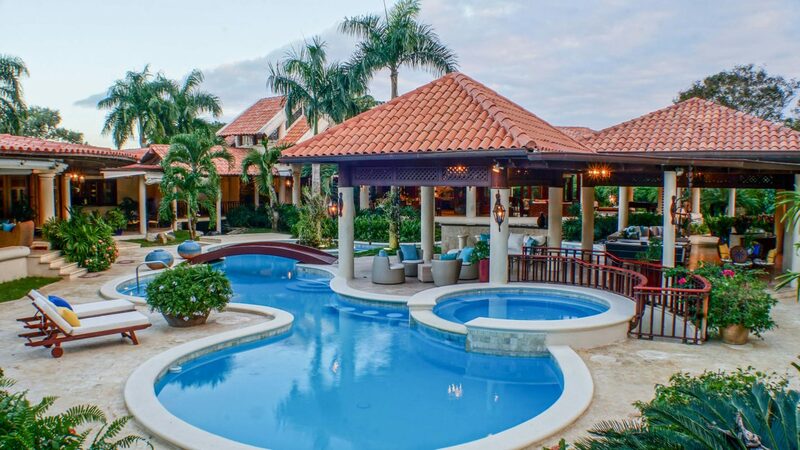 Featuring 8 grandiose bedrooms each with private balconies and en-suite bathrooms, a total of 11 bathrooms, wrap around pool, numerous water lakes and ponds and a 1,000-bottle wine cellar. 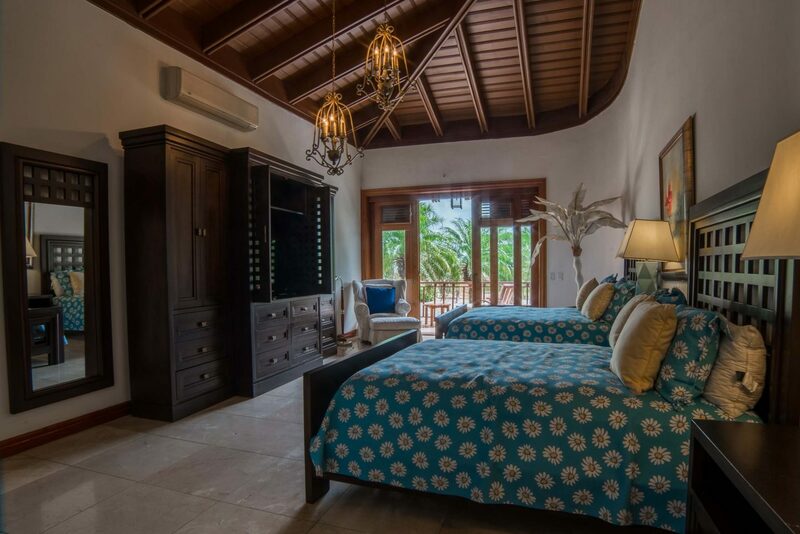 Built and decorated with love and exceptional taste, there is also a private gym with Pilates table and massage areas, extra-large family room with wireless technology throughout, 2 satellite dishes, complete lower window electric shutters throughout villa and Wi-Fi (all bedrooms and family rooms have A/C). 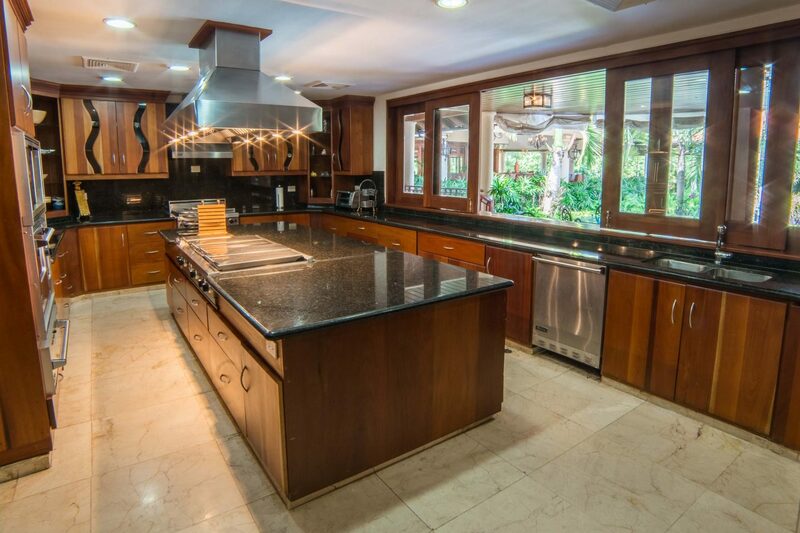 The estate also boasts two large kitchens with granite counter tops, Subzero and Viking appliances, and professional everything. 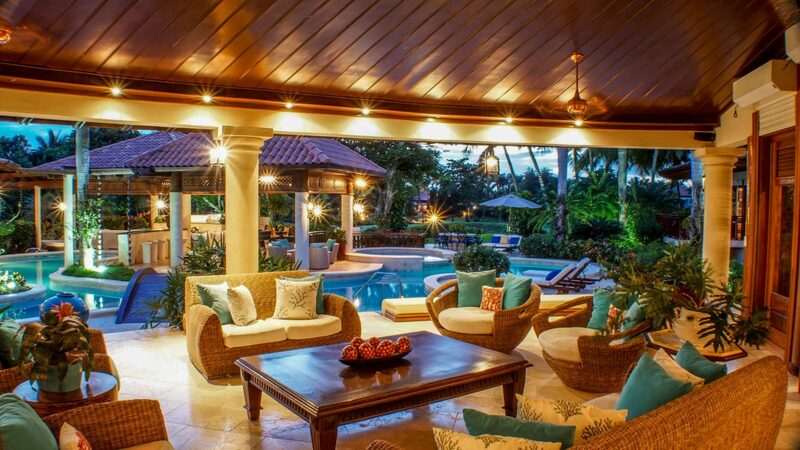 Other features include 3 separate living rooms, a large dining room for 22, an outdoor gazebo with BBQ grill and a Caja China. 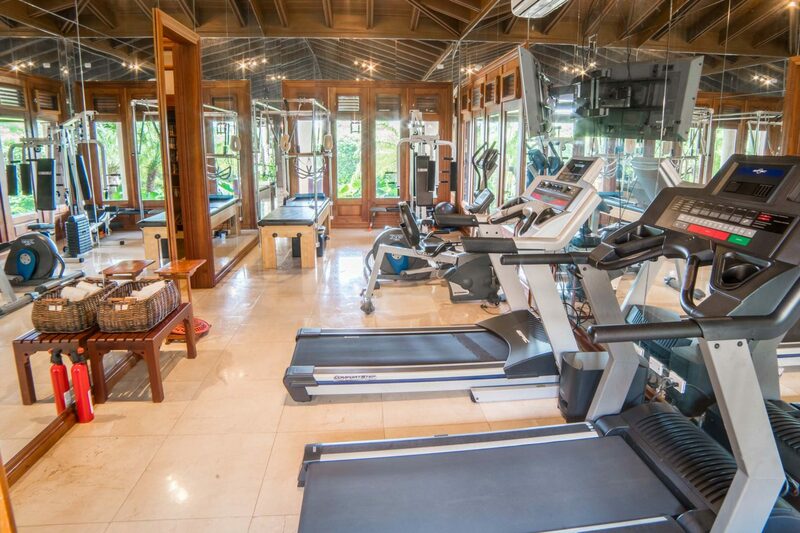 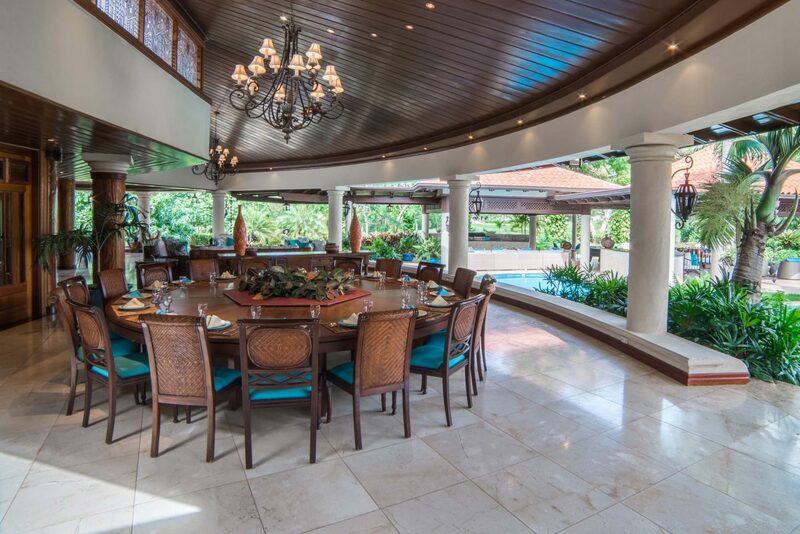 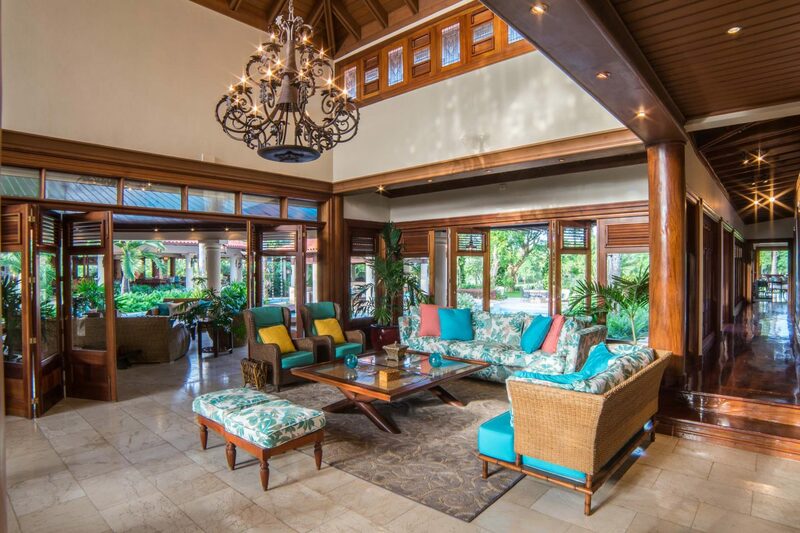 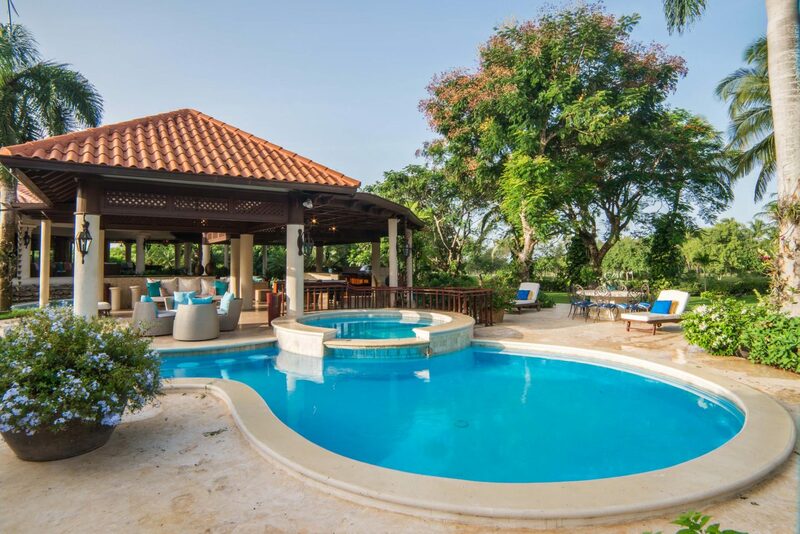 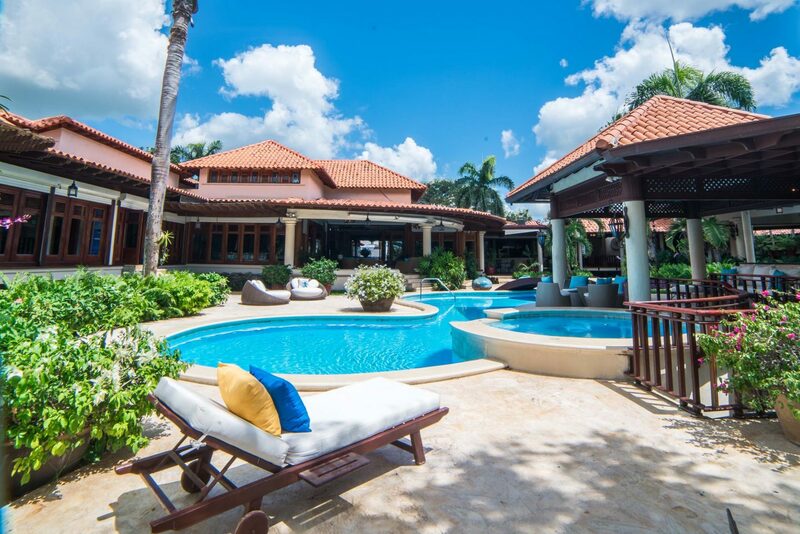 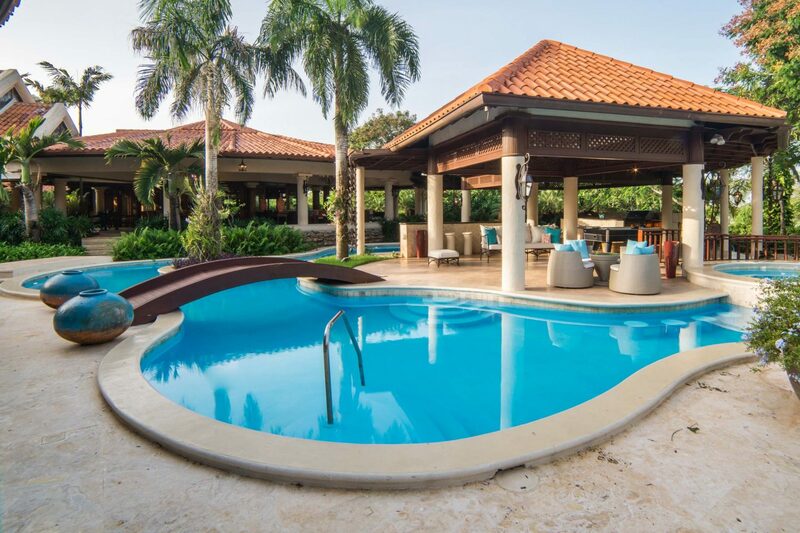 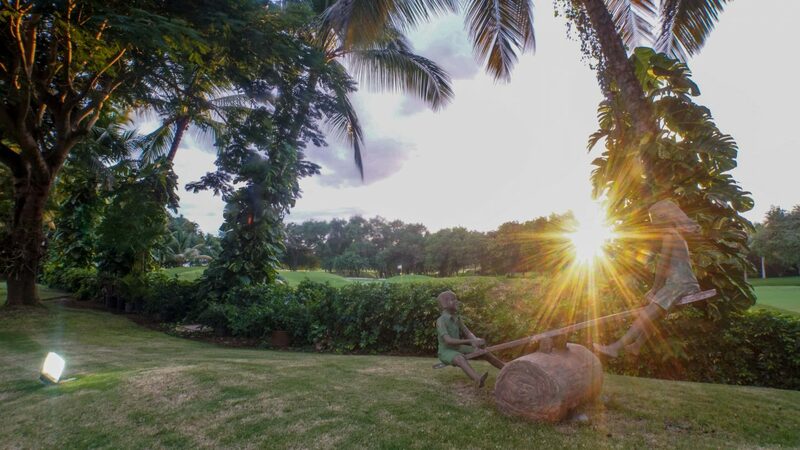 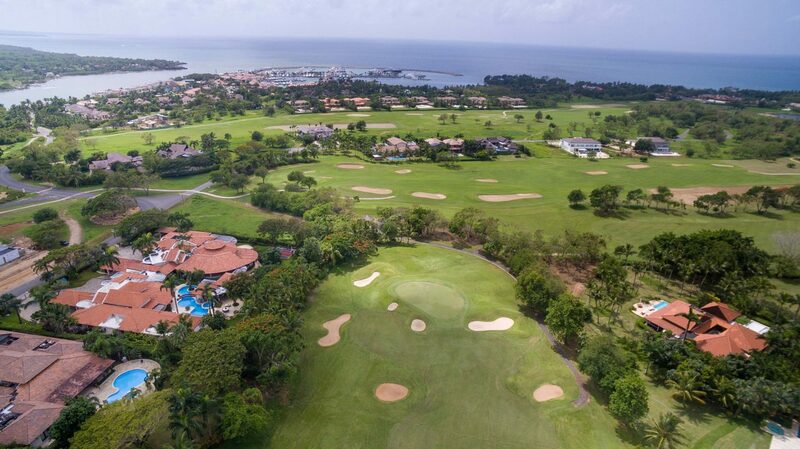 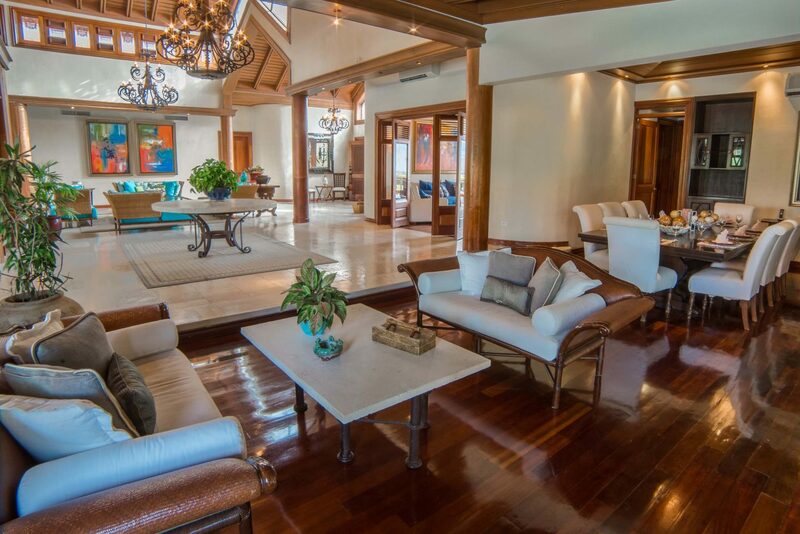 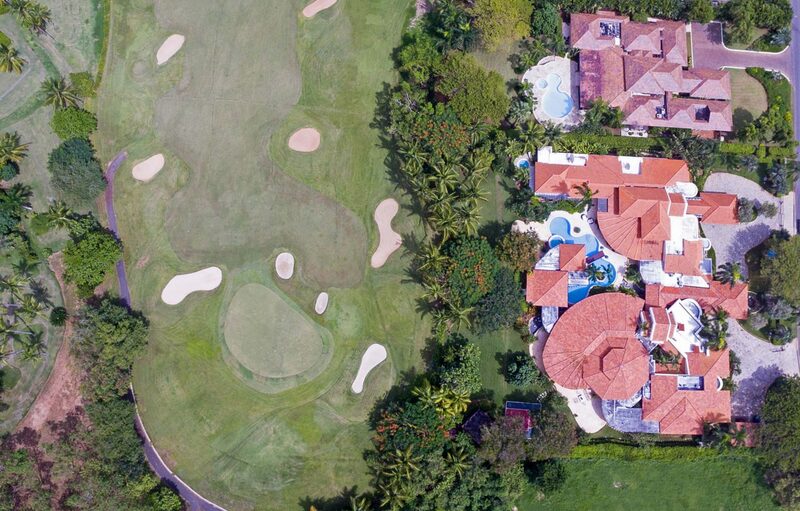 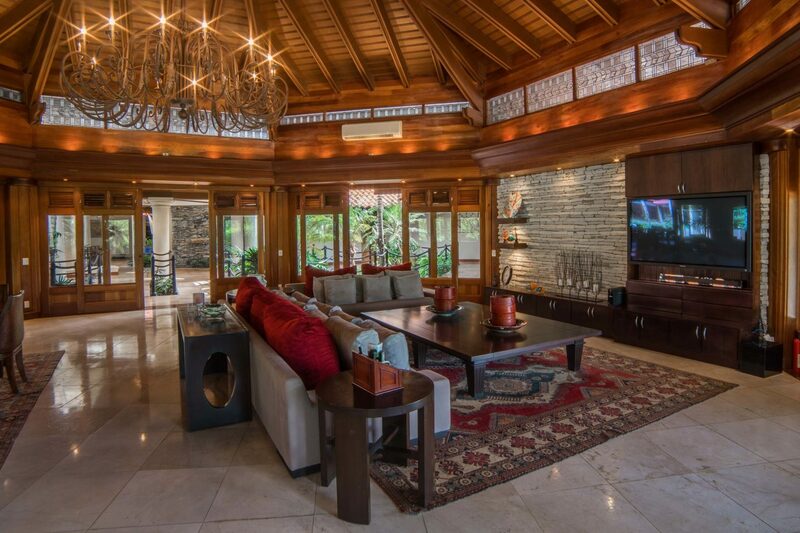 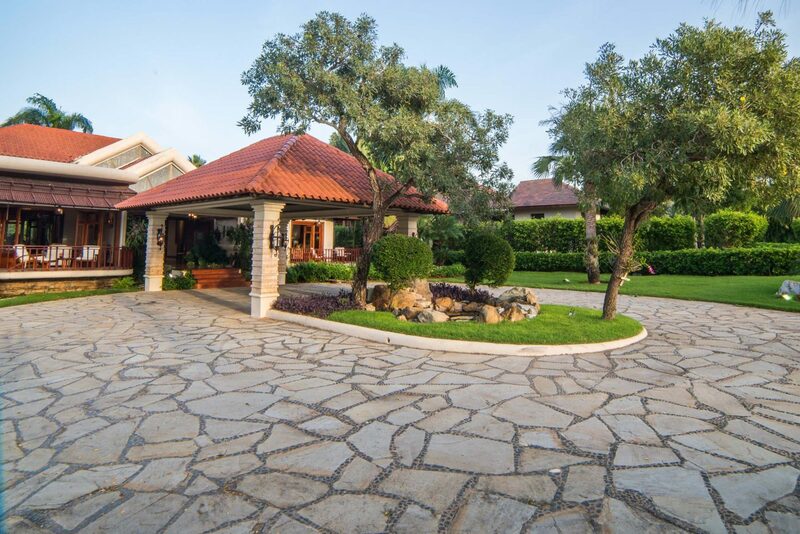 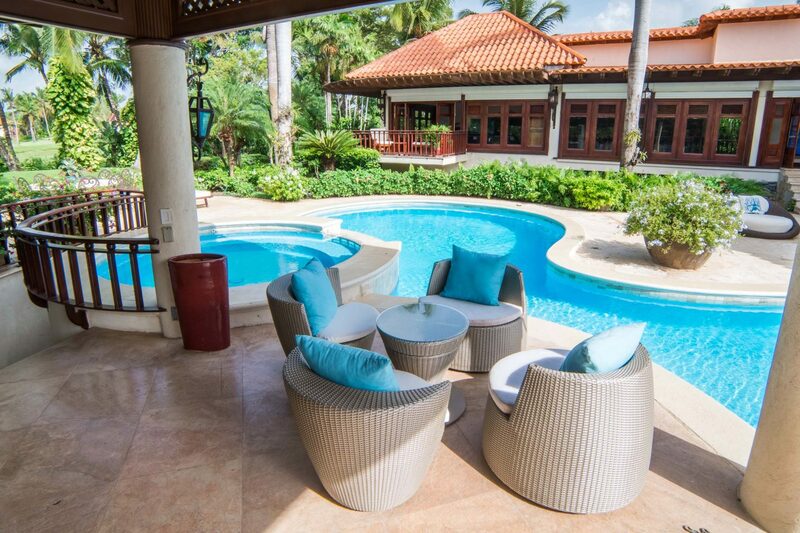 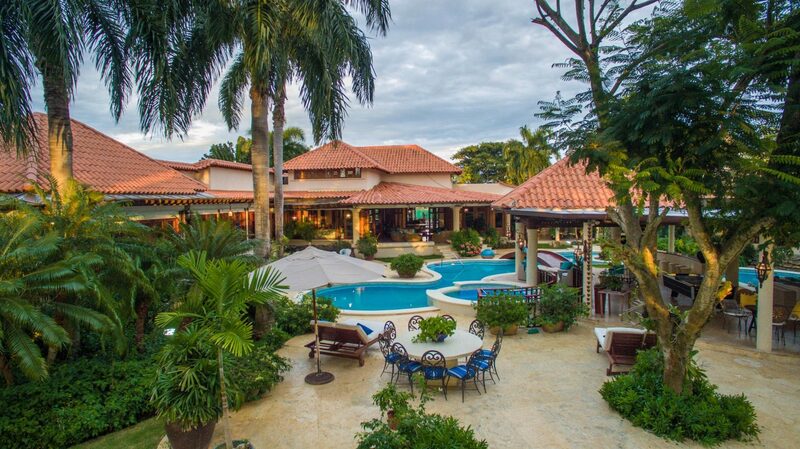 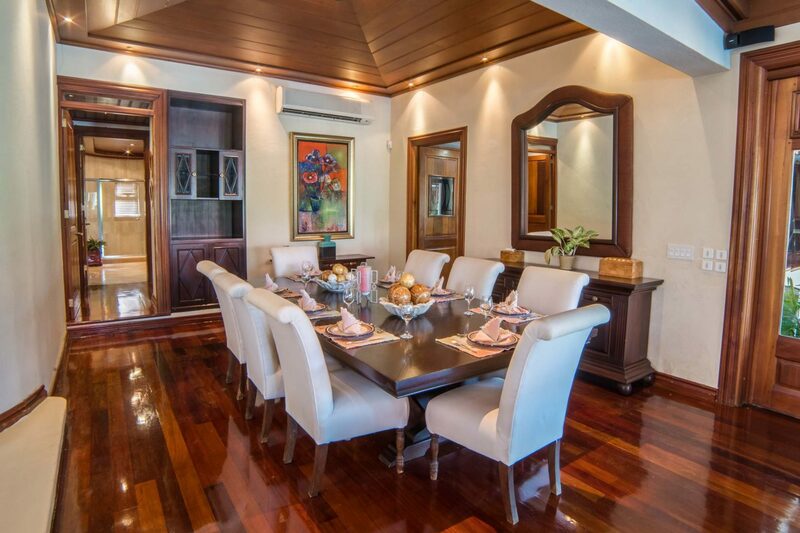 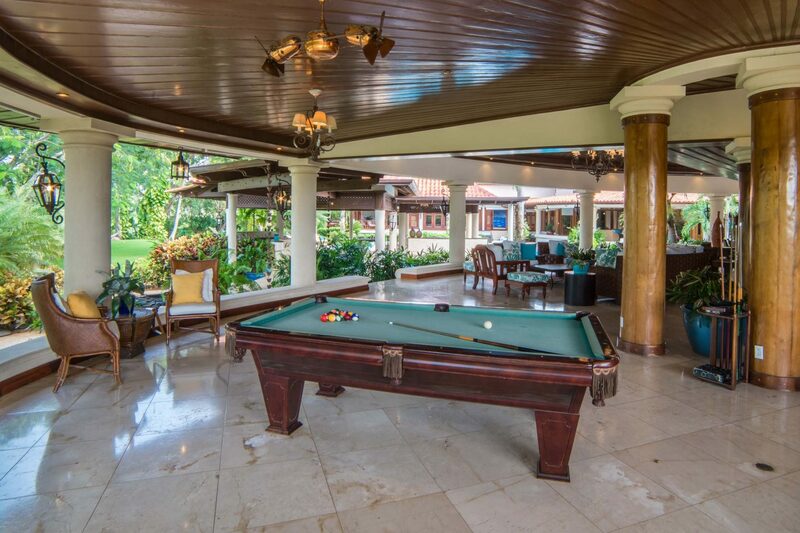 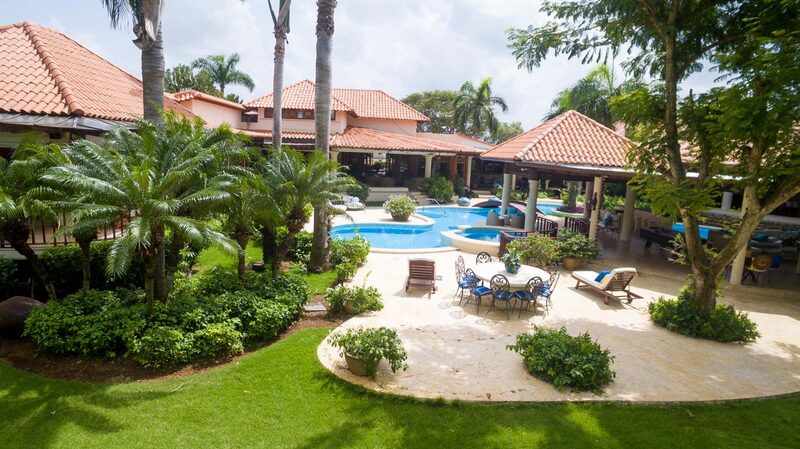 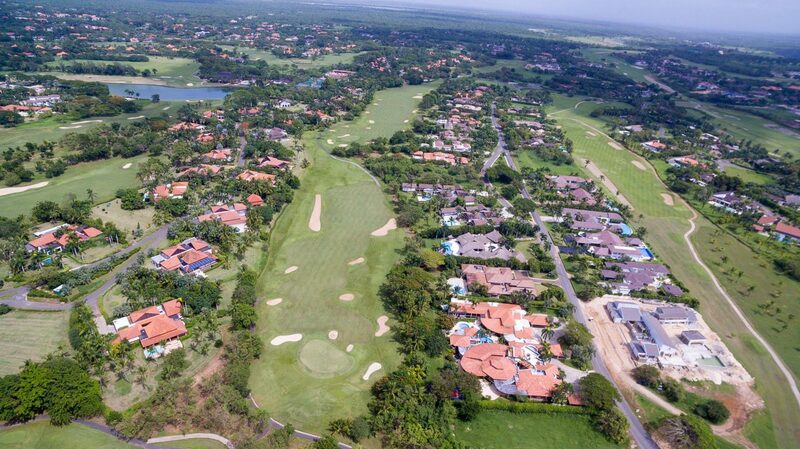 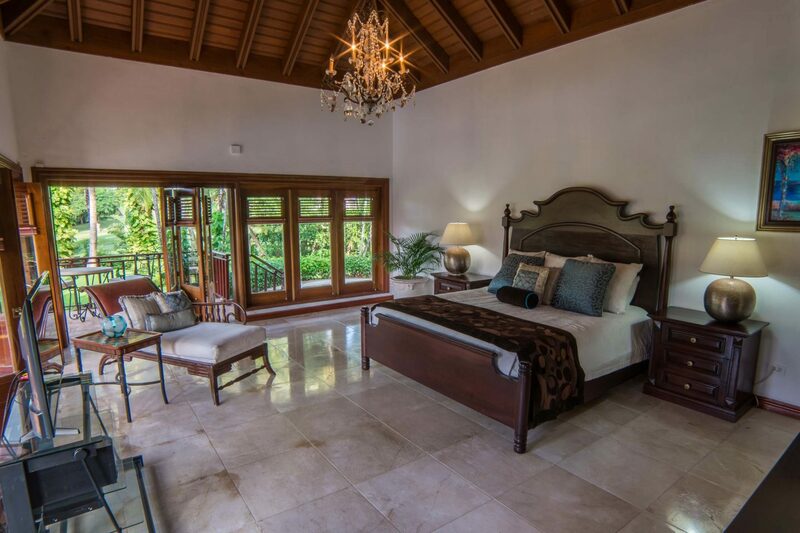 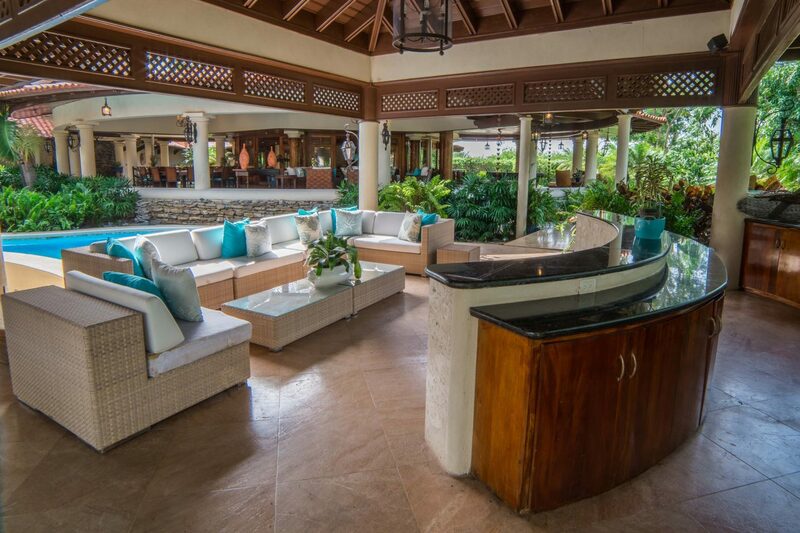 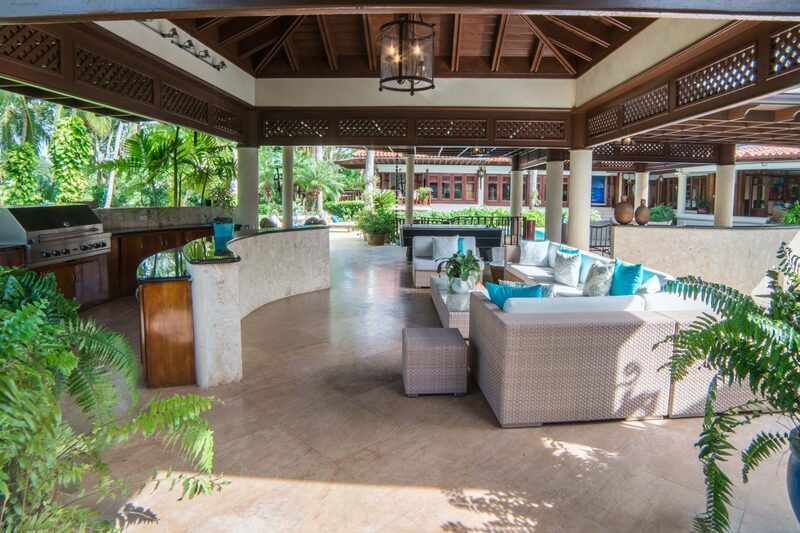 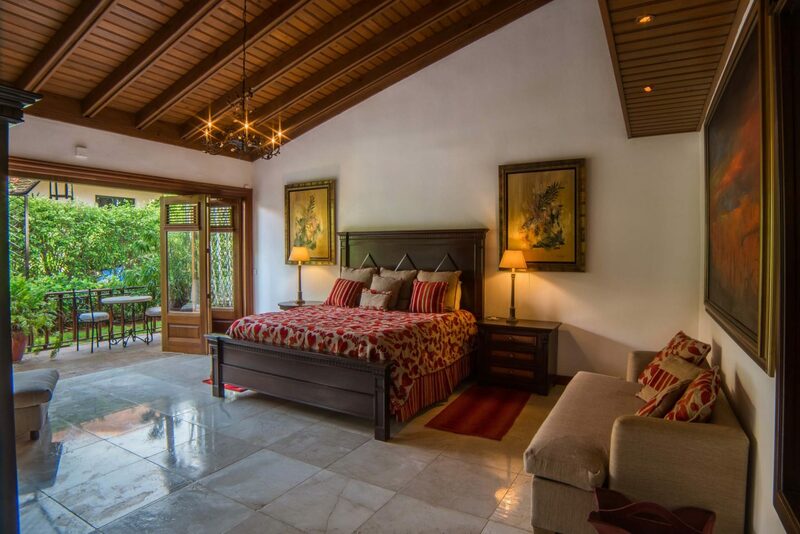 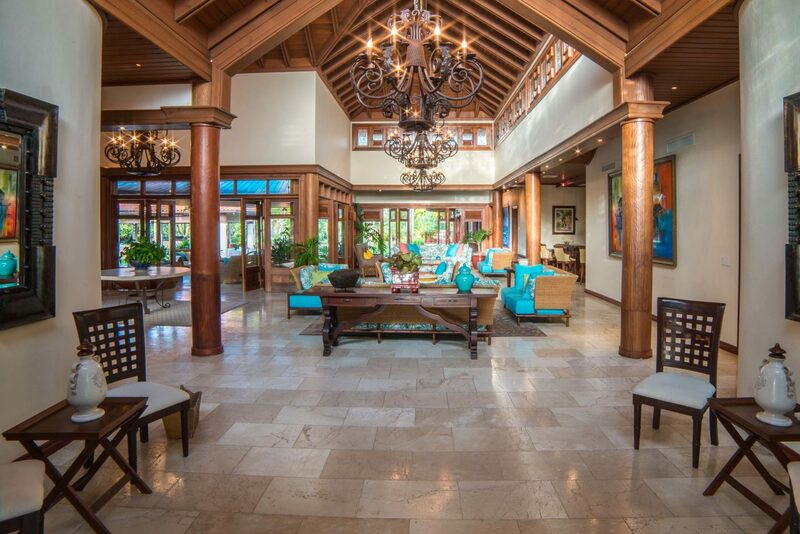 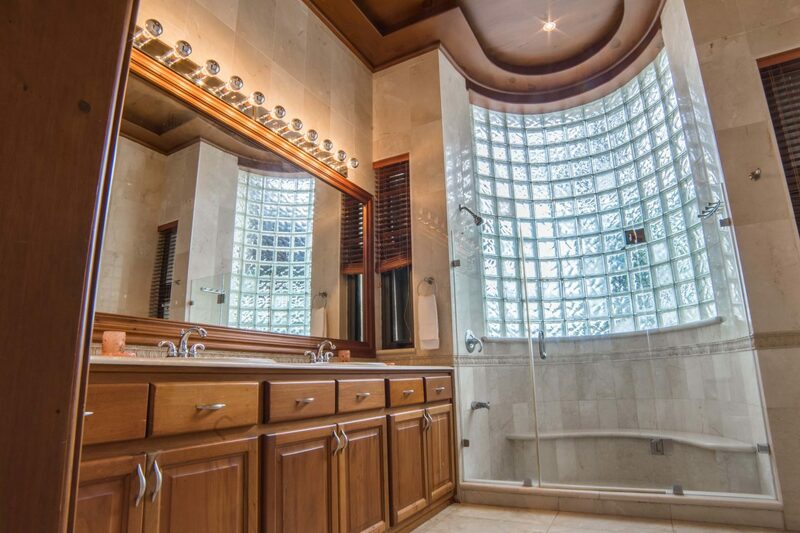 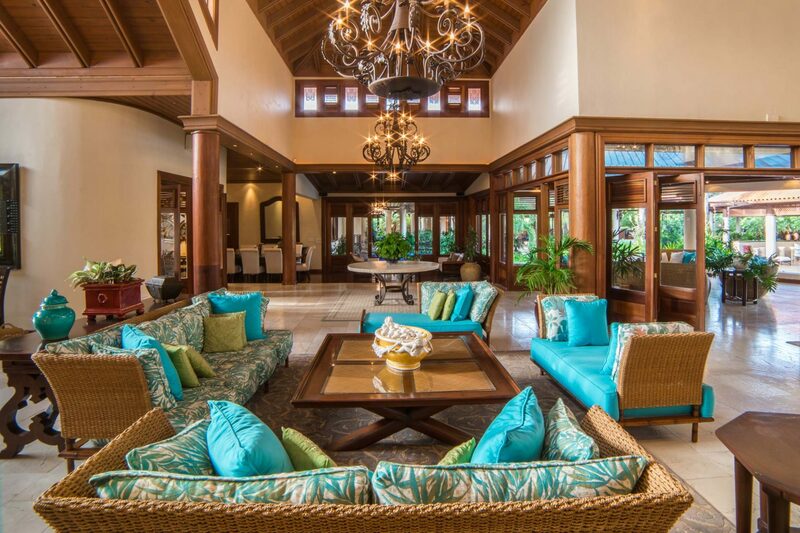 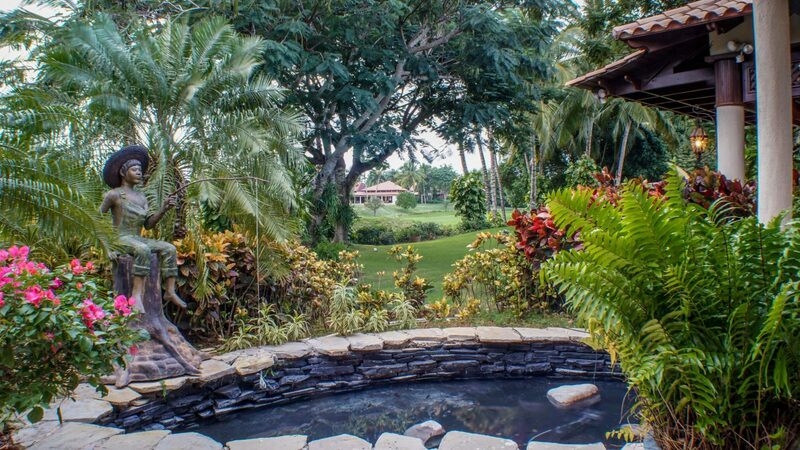 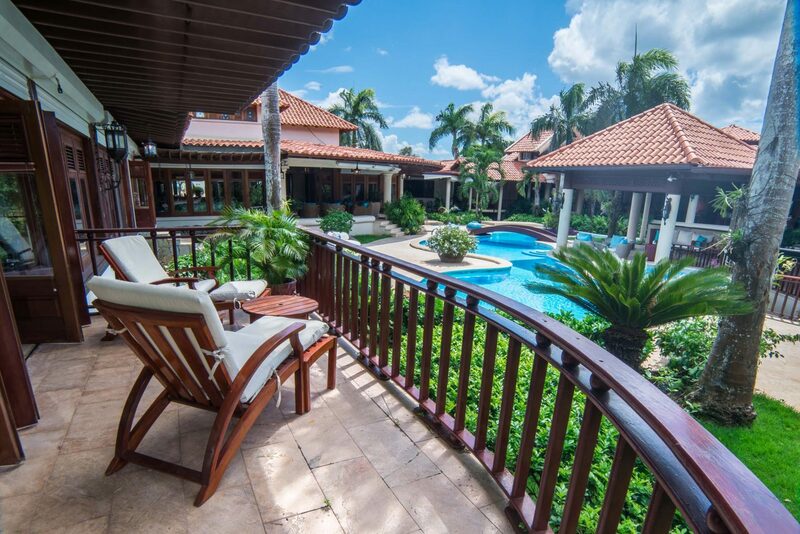 This Caribbean golf view mansion has 1,958 SM (21,076 SF) of construction and is situated on a 4,720 SM (50,806 SF0 double home site overlooking the La Romana Country Club Golf Course. 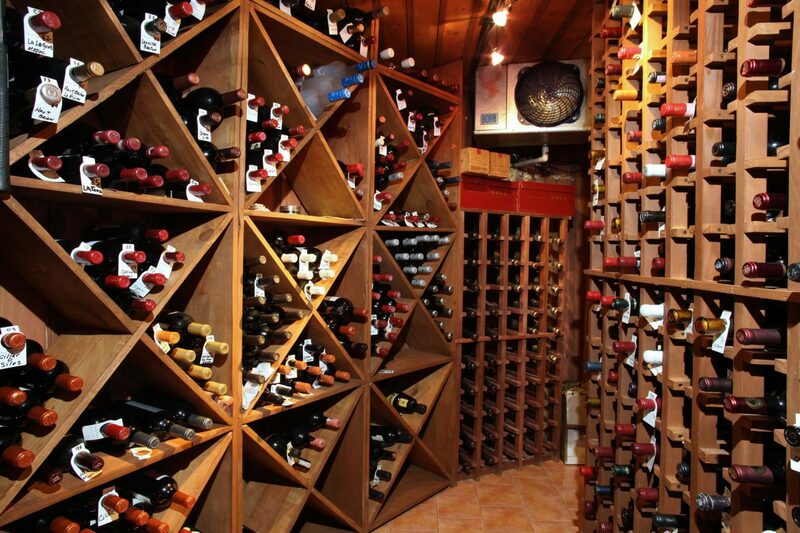 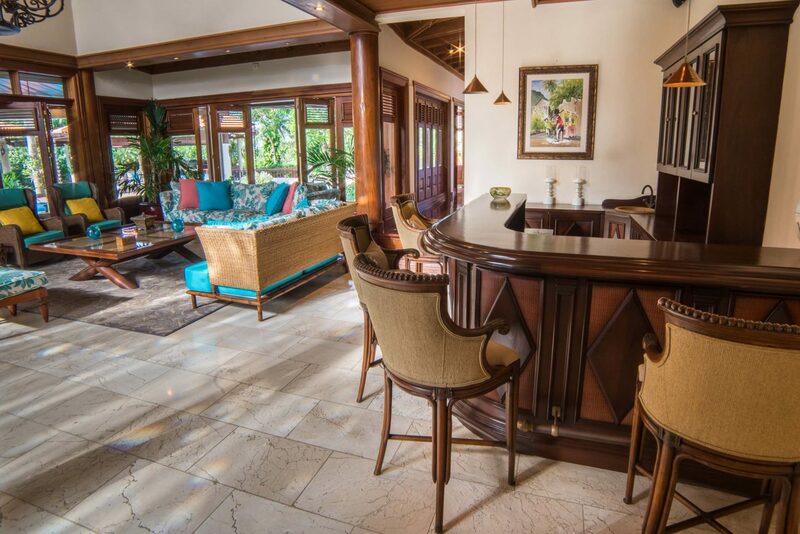 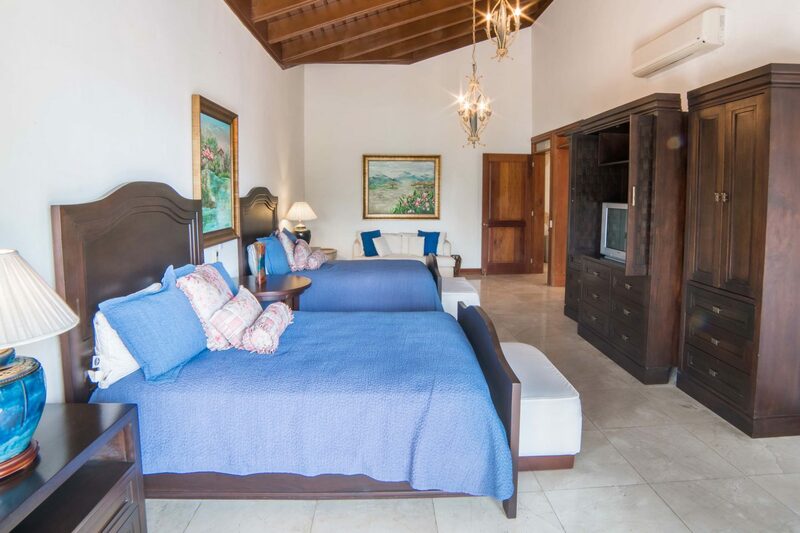 There is even an overly well thought of staff area with 3 bathrooms, a professional, hotel style laundry area, walk-in freezers and coolers, a 20 x 12 storage room, and private gates at the entrance of the estate. 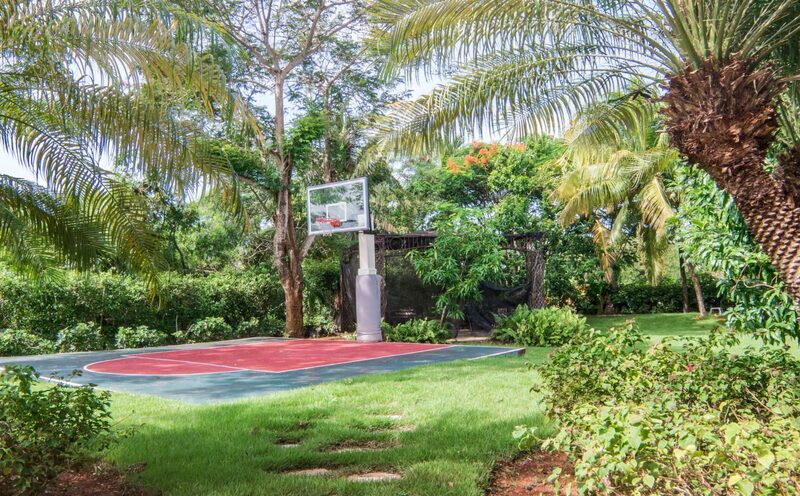 Spend the day relaxing or enjoy the NBA rated basketball court, game area with billiards table and air hockey, a deep well and sprinkler system, an awesome pool with built in chairs, and swim-up bar, private terraces, and details, details, and more details; a perfect home which is able to satisfy even the most demanding expectations. 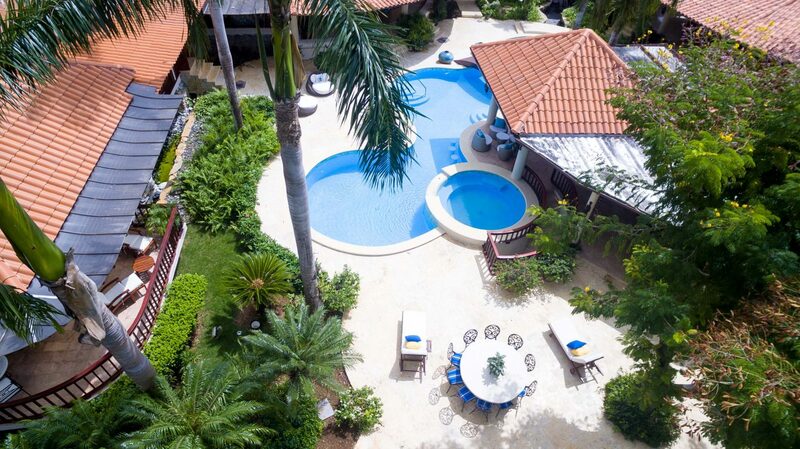 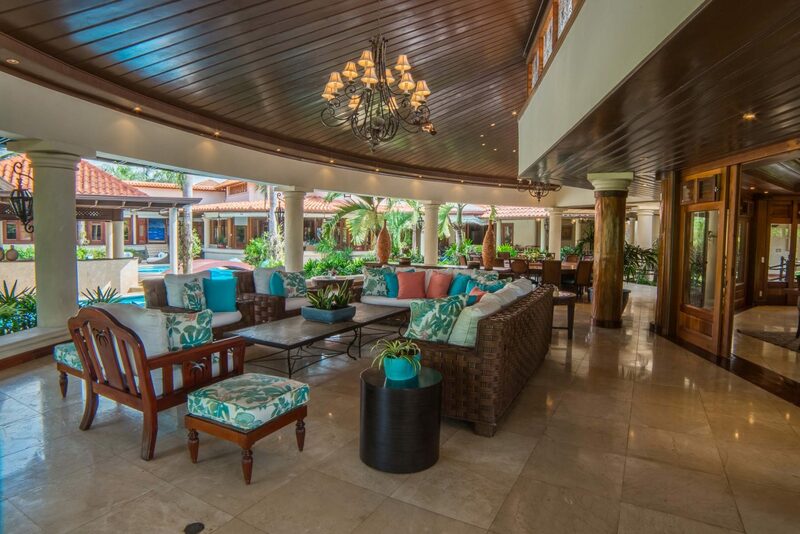 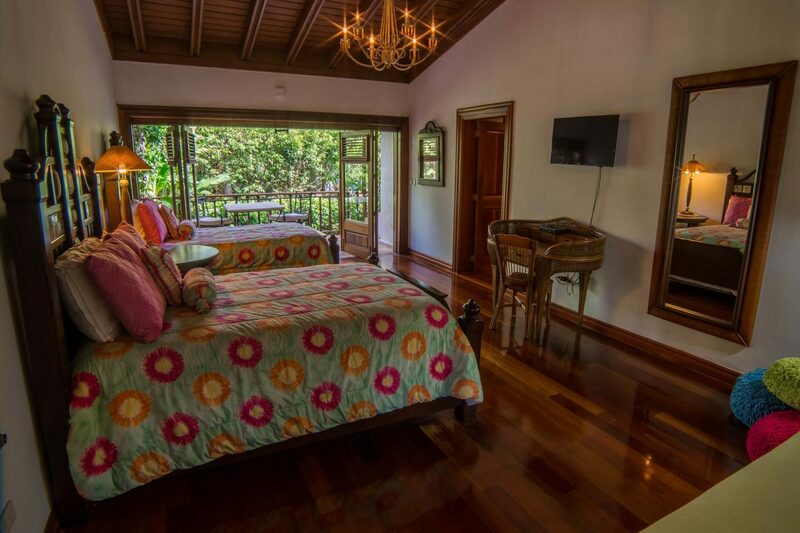 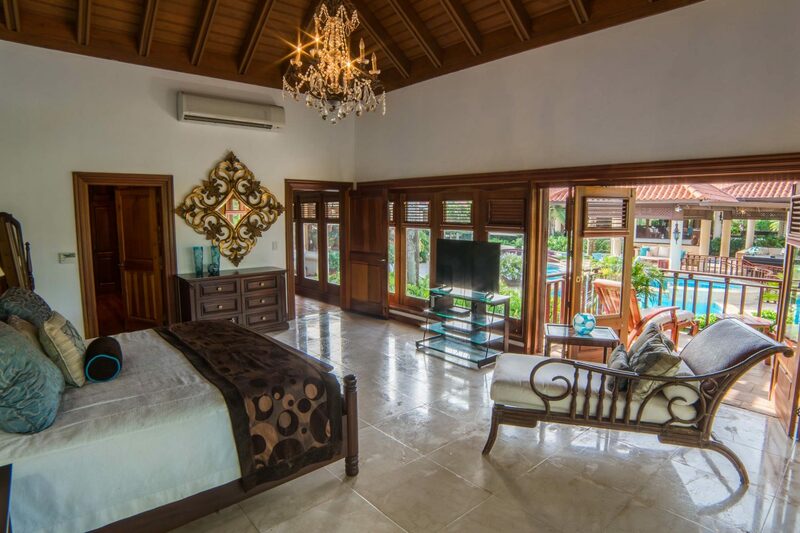 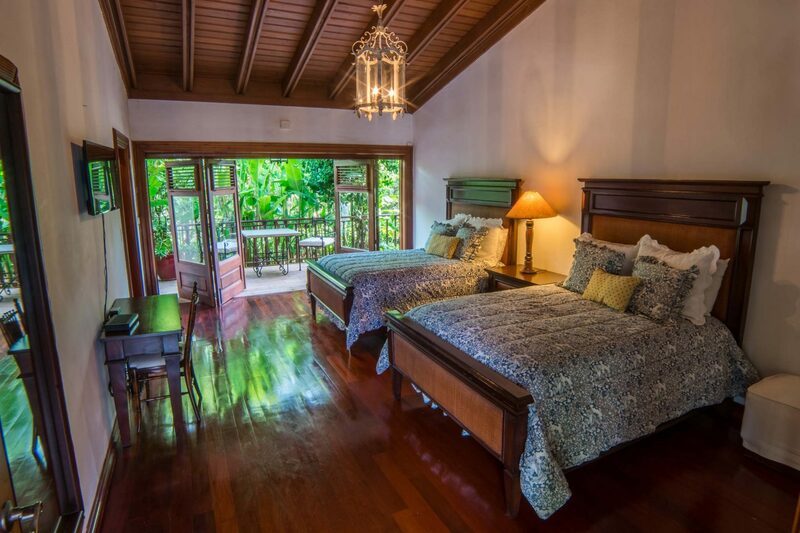 This is the only property of its kind in all the Caribbean, and is completely turn-key, furnished, decorated and ready to use today.